Being Norway one of the world’s largest exporters of fish, activities such as trout and salmon spawn, which takes place from October to December in the Norwegian rivers, become crucial. As one of the first ThingFarm has developed an IoT solution for monitoring the water quality and conditions for living organisms, fishes and plants in rivers and sea. Within the last months of the year, salmons and trouts spawn in rivers all over Norway. It is said that salmons have the ability of returning to their birth place to reproduce and spawn their eggs, guided by their sense of smell and chemistry of the river. To know if all parameters are adapted and stable for the fishes to spawn eggs, knowing the river and water conditions is of great value. 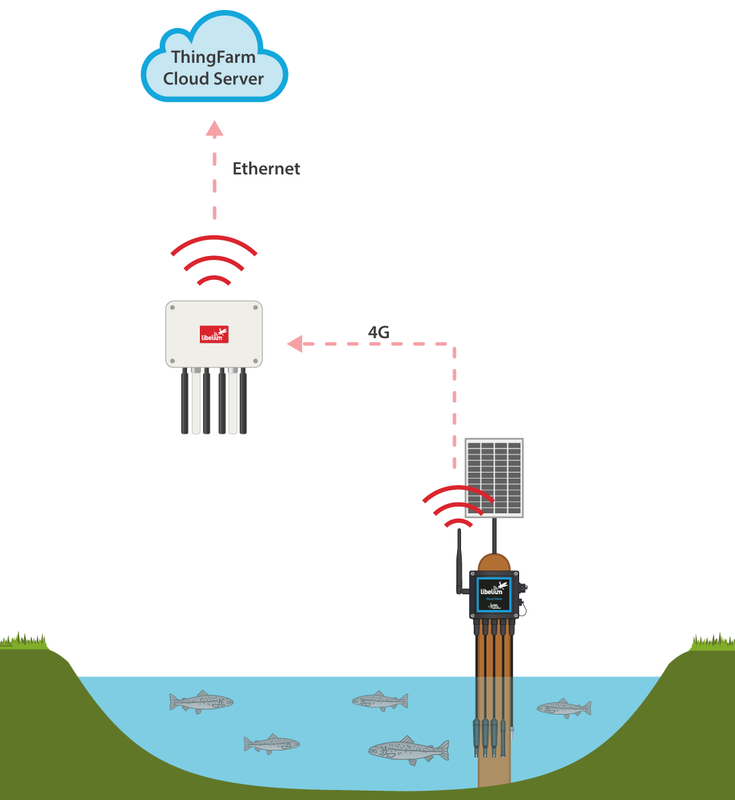 Thingfarm is a Norwegian company that has developed several IoT solutions with Libelium’s technology including a solution to monitor the water quality and a solution to monitor air environment. The solutions are installed in the surroundings of the city of Oslo. The IoT solution ThingFarm Smart Water with Libelium’s Waspmote Plug&Sense! 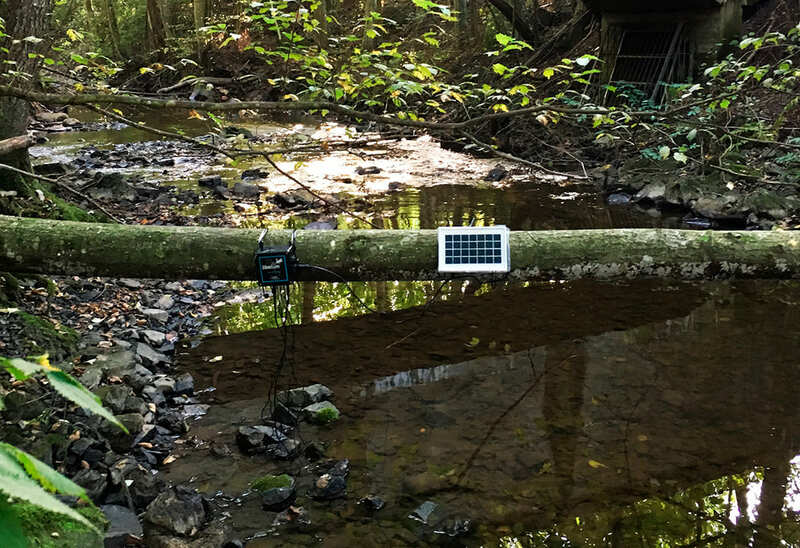 Smart Water has been installed in a small river in Oslo to monitor and predict river’s behavior and water quality. “The Connecting River Project” is monitoring water and water quality regarding the plants, fish and animals in the rivers in real-time and enables to find value in the data today, learn from the past and present in order to predict the future and make decisions that gives better outcomes for the environment. 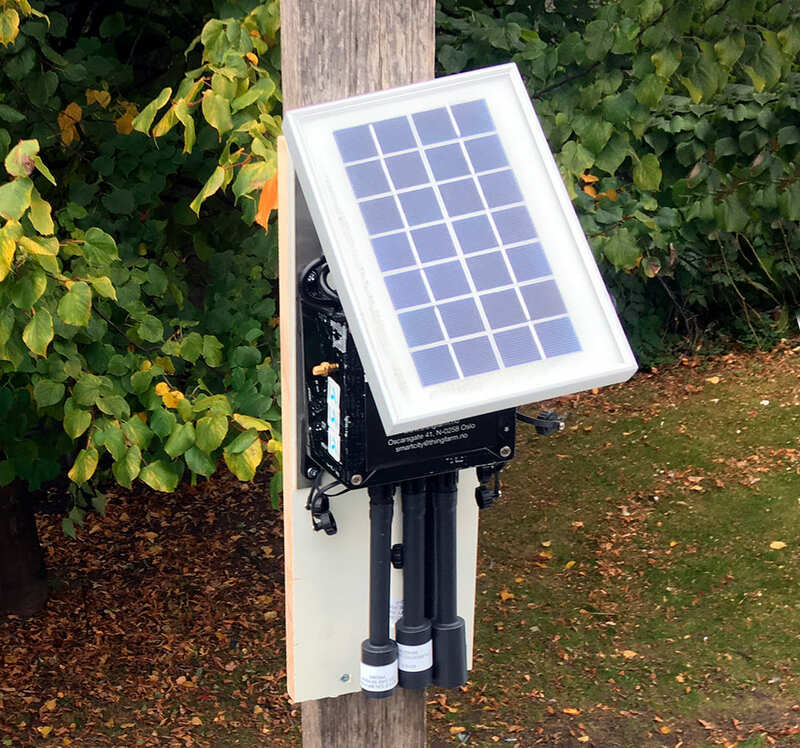 Concurrently, a solution for air quality monitoring, ThingFarm Smart Air with Waspmote Plug&Sense Smart Environment PRO has been deployed in Oslo Centre for the “Connecting Air Project”. All this reflects the fact that Government Agencies of Norway are truly aware about how environment is affected by human activities. Nodes have been exposed to extreme weather conditions during the coldest months, suffering temperatures below -22ºC and high level of humidity in their locations. Devices, which are solar powered, experienced lack of light during the Nordic winter, with only 6 hours of weak solar light energy. To face this, nodes where reconfigured to increase time between measurements so batteries can last longer, guaranteeing measurements. ThingFarm is one of Libelium’s partners acting as integrator and end-to-end solution provider of IoT and machine learning. This company delivers IoT ready products including integrated solutions from connectivity, hardware, sensors and an IoT-platform built with business intelligence and machine learning that is compatible to existing systems. The final aim of ThingFarm’s project is collecting information to control, foresee and act in situations and places of which environmental value is significant. Water ecosystems are some of the most affected by climate change and water pollution causes great damage every year to humans, animals and plants. Pollution is a major cause that species are endangered in the Norwegian nature. Aquaculture sector is a fundamental business in Norwegian. Norwegian Salmon are raised and cared under strict regulations to assure food safety and clean taste and texture. The use of antibiotics is now marginal, colorants are not added and salmon diet is all natural. Consequently, preventing declines in biodiversity and protecting endangered and vulnerable species such as phytoplankton, crustaceans, benthic animals, aquatic plants, fouling algae and fish becomes essential. Water chemistry measurements will inter alia determine whether water has higher levels of nutrients as a result of the emissions from agriculture, industry or waste water from public and also to know the state and conditions in the sea, rivers and lakes. In this project, ThingFarm “Connecting River” sensors used with Libelium’s Waspmote Plug&Sense! Smart Water permit to obtain information about water temperature, pH, Oxidation-Reduction Potential (ORP), Conductivity and Dissolved Oxygen (DO) levels. This device has been installed in a river in Oslo and the water values are monitoring in real-time. 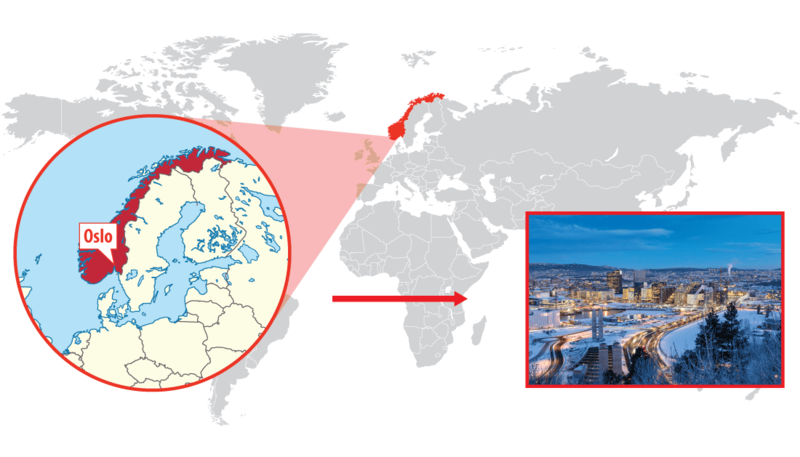 ThingFarm has deployed an air quality monitoring station, ThingFarm Smart Air under the “Connecting Air Project”, promoted to Government Agencies of Norway. Waspmote Plug&Sense! Smart Environment PRO has been installed in Oslo city center. This IoT solution gives real-time information about the air quality conditions that can help the Air Department and Environmental Protection Agency to determine if air has higher pollution emissions from traffic that are causing health damage to pedestrians. Having this data automatically in their systems, authorities can consider actions to neutralize such effects, for instance closing traffic in areas of the center of Oslo during the rush-hours. Furthermore, it has been taken to bright assessment of Norwegian Parliament to being able to charge fee for all fuel cars based on pollution levels in the city center. 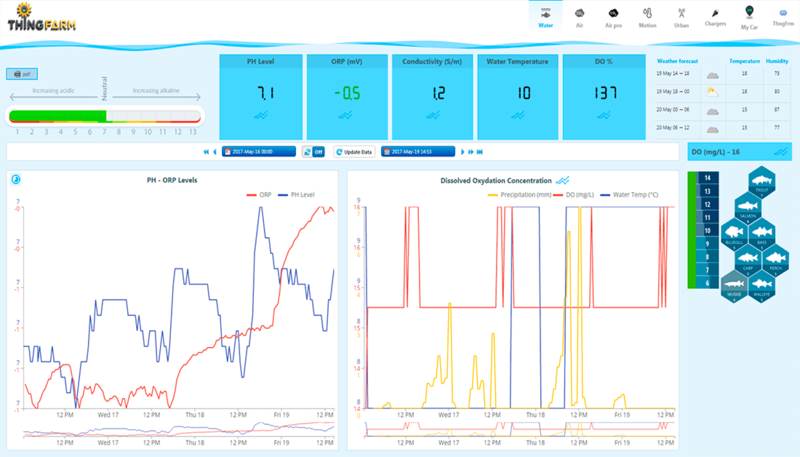 ThingFarm Smart Air Solution monitors the contamination levels in real time and can document the effects of introducing such orders. Reducing pollution from traffic and industry using data for planning infrastructure and providing public information on Air Quality through the ThingFarm Smart City Air application are the main objectives of this projects. Parameters observed are air temperature, relative humidity, air pressure, Nitrogen Dioxide (NO2), Carbon Monoxide (CO), Carbon Dioxide (CO2) and Ozone (O3). Waspmote Plug&Sense! Smart Water and Waspmote Plug&Sense! 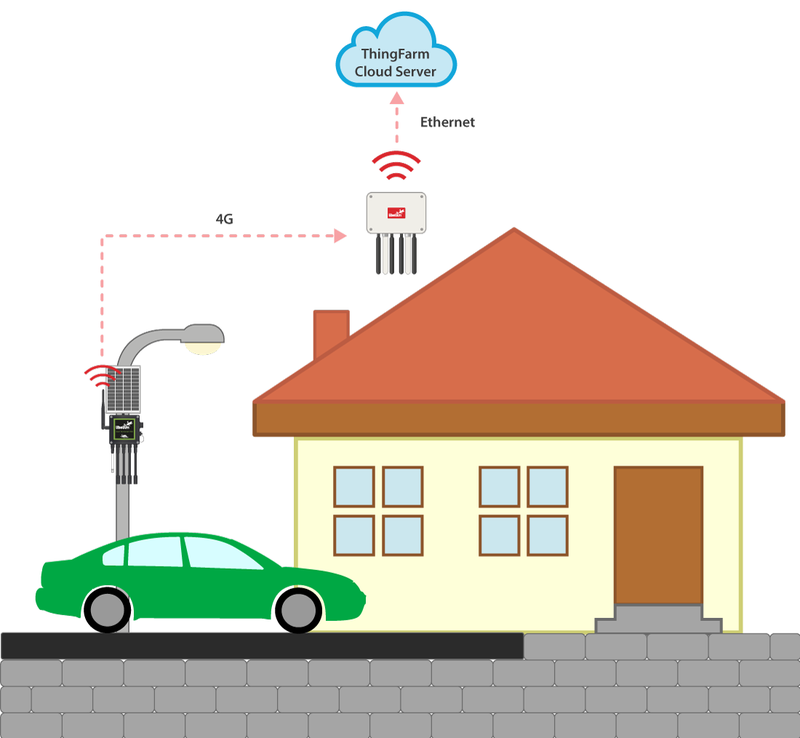 Smart Environment PRO Sensor Platforms communicate with Meshlium IoT Gateway through 4G cellular connectivity. The data gathered by Meshlium is sent to ThingFarm‘s Cloud Computing Services and can be visualized in the scalable IoT-Platform of ThingFarm. The ThingFarm platform has been built to be scalable and integrable and is easy to use. It includes flexible device connectivity options, rapid application development tools, scalable storage, and supports various deployment models. 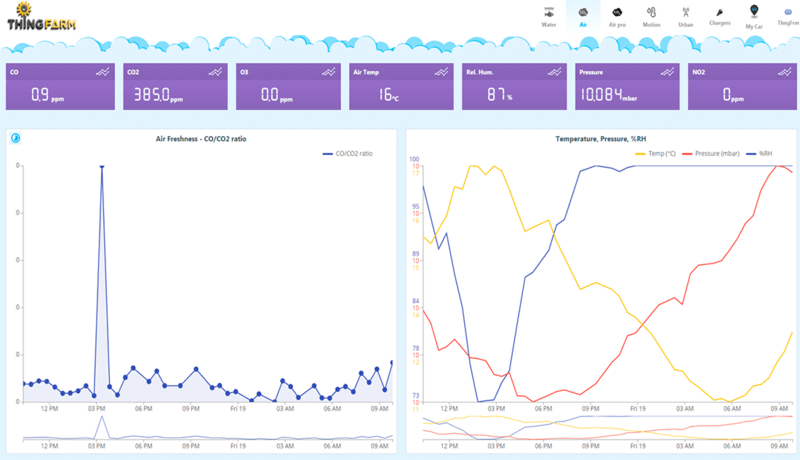 The IoT-Platform of ThingFarm adds machine learning feature in a way that software running behind can analyze data streams and help in predictions and decisions-making. Norway is a country highly committed with actions against climate change. Controlling environmental parameters allows public entities to compile real-time data from locations that can be far away from the reception center. The line of coast is longer than 25,000 km and distances North-South reach 1,700 kilometers, so this way transport and logistics costs are reduced and decision-makers can focus on maintenance of ecosystem values stable to fight against climate change. ThingFarm‘s machine learning adds value to the solution thanks to direct experience or instructions, in order to look for patterns in data that helps making better decisions in the future. Data is being generated faster in time, generating a huge amount of information that needs to be processed and analyzed. IoT Platforms like ThingFarm’s work in the frame of machine learning to analyze big data and extract information automatically. “Time and quality have been the main motivations of ThingFarm choosing the hardware for their solutions. Besides, cooperation with Libelium has gone very well. Customer and consultancy services have been well received to set up a tailor made package based on our needs”, pointed out David Daud, COO at ThingFarm.